It’s after typical lunch hours–2:30 on a Tuesday afternoon–but the line at Ikea’s restaurant in Emeryville, California, stretches to the entrance of the cafe. On a weekday, the restaurant usually serves around 1,200 customers, requiring steady production of Swedish meatballs and salmon fillets. But it’s a careful balance: It’s also possible to easily make too much food and have to throw it away. By the end of August 2020, Ikea wants to cut its food waste at its stores–both in its restaurants and in its smaller bistros serving cinnamon buns, hot dogs, and soft serve–in half. At the heart of this plan is a digital scale. Whenever employees in Emeryville toss food waste from the kitchen into a bin, it now records the weight of the food. On a touchscreen mounted on the wall above the bin, employees quickly record what type of food was lost, and see feedback about the cost of that food and the carbon footprint. Over time, the patterns in the data will help the company make changes. “If we do see a significant amount of waste over a specific period of time–let’s say at 2:00 every day we’re wasting so many meatballs–then that says for us that we’re overproducing, and if we’re overproducing, then we can train our coworkers to minimize that waste,” says Peter Ho, Ikea US food sales leader. Ikea began piloting its new food waste system in 2015, and began rolling it out to stores in December 2016. By May 2017, it had launched in 20% of its stores, reducing nearly 80,000 pounds of food waste and saving the company more than $1-million. It’s now in the process of rolling it out to all of its 400 stores, which serve 650 million customers a year. 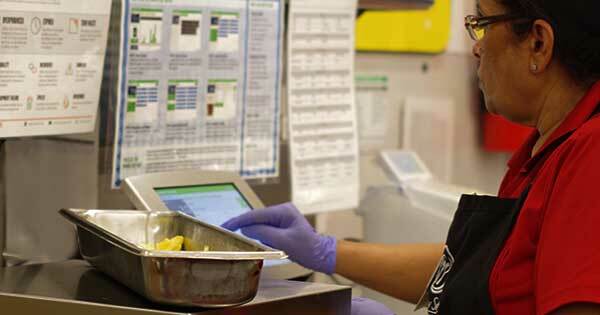 In the past, employees tried to track food waste by hand with log books, which was difficult to do accurately. But with the new goal of cutting food waste in half, the company has started using technology to measure waste. A typical IKEA restaurant — “The moment you start measuring with technology you begin to change awareness levels and you cause people to start to think differently,” says says Andrew Shakman, CEO of LeanPath, IKEA’s partner in this project. In the US, it partnered with LeanPath, a company that produces the digital scale, and tweaked the design–normally used on countertops–so that it could sit under a large bin on the floor. (In Europe, Ikea uses similar technology from a company called Winnow.) Another variation on the software lets employees in the bistro enter an item (say, stale hot dog buns) by quantity rather than weight. Each time food goes in the trash, the employee quickly keys in the type of food and the reason, whether it was overproduced, or expired, spoiled, or trimmings, such as the top of a tomato. It takes seconds, so it’s not a big burden for workers. But the process can help shift how they think about waste. Workers can see, at a glance, the financial losses of a particular item if it’s thrown away at a consistent rate all year, and the carbon and water impact. 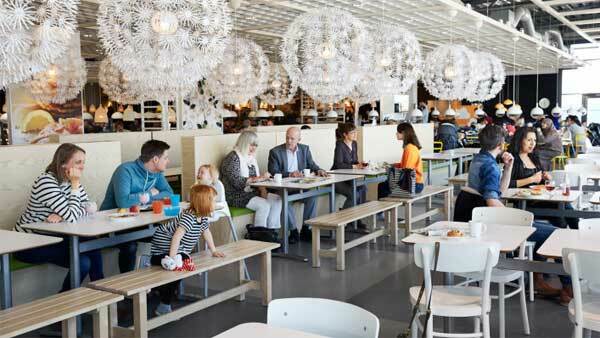 Ikea has also separately started exploring how changes in its menu could reduce waste. In 2016, the company’s restaurants started selling pulled salmon sandwiches–the fish version of pulled pork–in part because the recipe allows Ikea to use all of the prime meat parts of the salmon, including belly meat that would normally be discarded…..